It’s a common question–Why did my credit score drop? Your score can fall for many reasons. Some drops are insignificant, while others can seriously hurt your finances. We examine nine common reasons your credit score may have fallen. So you recently pulled your credit report or got an alert from a monitoring service. Suddenly, your score is lower than it was last month. What gives? Credit scores are, to say the least, complicated. They’re based on a whole host of factors. Plus, each factor is weighted a little differently. So this means your score can drop for a number of reasons. Pinpointing the exact reason for your credit score’s decline can be tough. But here are nine common reasons your score could have declined. Once you figure out which is causing your issue, you can take steps to fix it. 1. You’re 30 days late on a payment. Technically, your creditors can report a payment as late as soon as it’s past the due date. In reality, though, this rarely happens. Most creditors won’t report a payment as late until it’s 30 days overdue. But once that happens, your credit is likely to take a big hit. Solution: If you think you’re up-to-date on all your accounts, check your actual credit report. It will tell you which account has recorded a late payment. You can either bring the account up to date or call the creditor to dispute the late payment record. Another option is to ask for a goodwill adjustment. This can erase the late payment from your records, giving you a boost. 2. An already late payment became even later. Creditors can report a payment as late at any time, but credit scores account for various levels of late. A 30-days-late payment will drop your score. But once you cross into the 60-days-late category, it’ll drop again. Go 90 days overdue, and you’ll see yet another decrease. Solution: Again, you’ll find the record of which account is overdue on your credit report. Bring the account up to date as quickly as you can, even if that means working with your creditor on a payment plan. Many times, lenders are willing to work with you, especially if you’ve recently undergone job loss or other hard times. Again, if you’re not in the habit of letting payments go late, you may be able to get a goodwill adjustment. But you’ll likely have to bring the account current first. 3. You charged up your credit card. 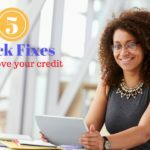 Your credit utilization ratio–how much credit you’ve used versus how much you have available–is an essential piece of your credit score. This is why the best practice is to pay off your credit cards in full each month. This keeps your credit utilization at or near 0%, which is great for your credit score. What if you recently made a big purchase or just over-relied on your credit card? If you don’t pay down the balance, that will show up on your next credit report. This will cause your score to decrease. Solution: Pay down your balance as quickly as you can using a balance transfer credit card. And then try to make a habit of never charging more than you can comfortably pay off in a month. 4. 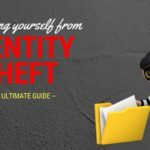 An account went to collections, or you are subject to a tax lien. Having an account go to collections or the government open a tax lien can really tank your score. These things stick around for a long time, too, so try to avoid them whenever possible. Sometimes there’s a mistake that causes these items to show up on your report. But sometimes it can happen because you missed something in your own financial life. Maybe a missed medical bill went to collections quickly. Or maybe you thought you paid your taxes in full, but didn’t. Solution: If there’s been a mistake, contact the party reporting the lien or collections account to straighten things out. Otherwise, get the account settled as quickly as possible. It will still show up on your credit report for up to seven years. And it will have a negative effect on your score for a while. But an account showing paid in full will have less of a negative impact. 5. You closed an old account. Closing old credit card accounts can seem like a good thing. But part of your credit score is based on the average age of your accounts. If you close your oldest credit card, your average age of accounts will drop. This will negatively affect your score. Plus, closing accounts lowers your overall available credit. This increases your credit utilization ratio if you’re carrying balances on other cards. Solution: You can’t really undo this problem once you’ve closed the account. Now, your goal is to remember to leave older accounts open. And watch your credit utilization ratio closely. As your accounts age, your credit score will gradually increase again. 6. You opened a new account. Wait, both closing and opening accounts can negatively affect your credit score? That’s right, though it’s for different reasons. Opening a new account generally involves having a potential creditor (or possibly several if you’re shopping around) pull your credit report. This results in an inquiry appearing on your report, which can cause a slight drop in your score. 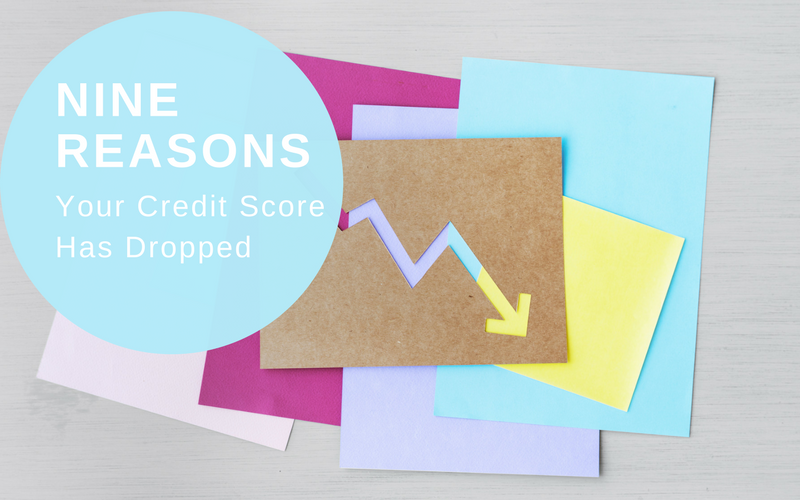 Credit inquiries shouldn’t cause a huge dip in your score unless you open a lot of new accounts around the same time. Solution: Credit inquiries remain on your report for a couple of years. The best way to keep them from affecting your score too much is to shop for credit selectively. You should also shop around for larger loans, like mortgages, in a two-week period. Credit scores will typically count rate shopping as one single inquiry in this case. 7. A creditor reduced your credit limit. Solution: You can always call a creditor to ask why they’ve reduced your credit limit and how you can get them to increase it again. Alternatively, focus on paying down your debts as quickly as possible to reduce your credit utilization ratio. 8. There’s inaccurate information on your report. An FTC report found that one in five consumers have an error on their credit report. Sometimes these errors don’t affect your credit score. But they can. This is why it’s so important to check your credit report and score consistently. If you notice an unfamiliar account or a mmisreportedlate payment, you’ll need to take steps to correct it. Solution: Check your credit report at least every few months. When you notice inaccurate information, follow these steps to correct it. 9. You’re looking at a different score. When you pull your credit score from two different sources, you’re likely to see two different numbers. This can happen even if you pull your scores on the same day! Why is this? There are a couple of reasons. For one, each credit score is based on one credit report. You have three credit reports from the major credit reporting bureaus, Equifax, Experian, and TransUnion. Each report may contain slightly different information, resulting in a different score. But what if you’re looking at scores that both say they’re based on your Experian credit report? In this case, you could be running into different scoring formulas. 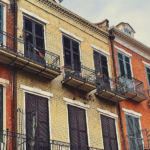 Credit scoring formulas are constantly changing, and there are tons of versions on the market. FICO alone has over nine different scoring algorithms! When you apply a different algorithm to the same information, you’ll get a different score. If your credit score has recently taken a nosedive, do some digging to find out why. Then, take steps to improve habits, correct inaccuracies, and boost your score again. 10. You’re actually responsibly USING the credit you’ve built, and it is just a normal short-term variation. Example: My scores averaged around 750-765. They’ve been there for some time. With a cruise coming up, I saw the cruise line had an affiliated card with a sign-on bonus of $100 in shipboard credit after making just a single purchase of ANY amount. I applied for and got the card, put an $8 meal on it, and I’m probably never going to touch it again. My score now? 745. Within 6 months it will be back ~760, we’ll be having an extra premium meal or two on board the ship, and I now have $11,000 in additional credit just sitting there in case of emergency. Available credit is not debt. Your credit worthiness is a tool, not a trophy. Responsible use will occasionally make it go down temporarily, but if there are tangible benefits in return, it is more than worth it; otherwise, what good is it other than for bragging rights on Intertube forums?